Which of the Patriots Free Agents Return in 2019? 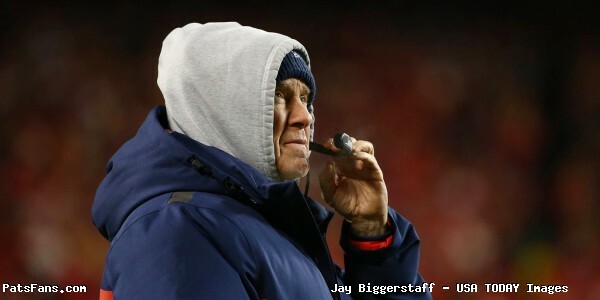 The Patriots are facing a ton of potential turnover in their roster in the upcoming 2019 season and to go along with a slew of coaching changes, it presents a difficult challenge in the days ahead. Most Super Bowl winners suffer a turnover of more than 20 players from the Super Bowl to Week 1 of the following NFL season. This year’s Patriot team will no doubt be any different. So, now that the post-Super Bowl celebrations are over and we’ve had a chance to let the dust settle, we are going to take a look at some of the Patriots free agents and try to get a feel on who may return and who may be moving on. And let’s start with the two biggest of them. The Patriots defensive end was a fourth-round pick from Arkansas just four years ago and at 25 is just now entering the prime of his career. Flowers led the team in sacks the past three years but he’s much more than just a sack specialist. In the varied scheme that the Patriots run on defense, they ask their edge players to do a lot of different things. And Flowers can do them all. He sets the edge, rushes the passer from the outside, can kick inside as an interior pass rusher and drop occasionally into the passing lanes in the flat. 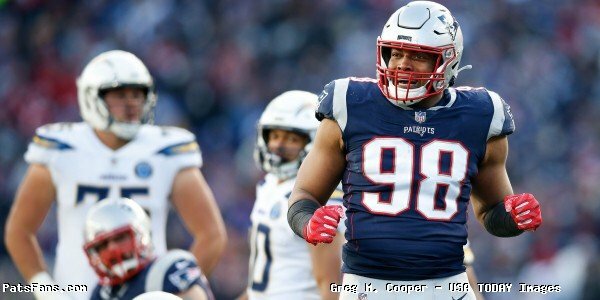 Flowers has arguably been the Patriots’ best defensive player for the past several years and they know and appreciate his value. How will the rest of the league value Flowers? In an increasing fantasy football mindset, many fans and writers may not believe that he’s a top-tier defensive player. But the coaches see what he brings, especially two ex-New England coaches in Detroit and Miami. My, my, my, (Joe Kenda voice), what a difference a year makes. When the Patriots got Brown in a trade with the 49ers there were a lot of very unconvinced people (including right here) that wondered why the Niners would let him go if he was as good as Von Miller proclaimed him to be. Miller, the Broncos pass rush specialist, called Brown the best right tackles in the NFL and considered him one of the best tackles …period. Brown is absolutely enormous at 6’8, 380-pounds but for a man so big, he moves incredibly well. He took over the starting left tackle position in the first days of training camp and never looked back. He started all 16 regular season games and all three playoff games and was simply outstanding. So, yes… he can play left tackle in the NFL, and do so at an elite level. Having feet as quick as his for such a large man allows him to keep pass rushers at bay and he can be a road grader in the running game. Will another team throw a boatload of money at his feet this spring? With the protection of QBs blindsides always at a premium, the answer is probably yes. Will the Patriots match? Probably not. They invested their top pick last year in Isaiah Wynn who ended up on IR with a torn Achilles last year. Marcus Cannon is under contract for the next three years. The Patriots believe Wynn is more than capable, however, they’ll want to take him along slowly with his injury. If the Patriots do re-sign Brown, then swing tackle LaAdrian Waddle will probably go, if not he’ll return for another year. The chances of Brown returning are far less than 50 percent in 2019. Both of the Patriots kicking tandem are free agents this season. Gostkowski has been with the Patriots since Adam Vinatieri left in 2006, (the Patriots have essentially had two kickers since 1995), and Gostkowski has been remarkably consistent for a very long time. Last season he was 27-32 on FG attempts, three of his misses were beyond 50 yards and 49-50 on extra points. His work on kickoffs is a subject that Bill Belichick has long complimented on as exemplary. Allen has been outstanding at angling punts to the sidelines and dropping them inside the 20-yard line of opponents. During the Super Bowl, he pinned the Rams deep three times inside their 10-yard line. And don’t forget, it is Allen that does the holding on all of the extra points and field goals. Both are extremely valuable and trusted. The odds of each returning is well over 50 percent for 2019. J-Mac was a very valuable contributor in 2018, his solid play, experience, and leadership were all key factors in the team’s success in the secondary. And playing in the playoffs for the first time in his career, was an experience that McCourty relished, a valuable teaching point to the younger players to never take anything for granted. Especially for a player who went from 0-16 to a Super Bowl win. The Patriots have a lot of depth at the cornerback position with Stephon Gilmore, J.C. Jackson, Jonathan Jones (RFA), Duke Dawson, Keion Crossen and Eric Rowe (UFA). McCourty’s veteran presence would be very valuable in 2019, but much of his future may be tied into his brother’s retirement consideration. If Devin decides to return for one more year, Jason would be much more inclined to remain. He’s a 50/50 proposition to return. The Patriots three complementary wide receivers are all unrestricted free agents this spring. Hogan has spent the past three seasons here after signing a three-year deal bringing him over from Buffalo. Hogan was a key contributor on the two Super Bowl teams his first two seasons but this year, he seemed to be frozen out of the offense, where he was forgotten for very long stretches. A classy vet, on and off the field. He’s a great teammate who works hard every day and can be a valuable complementary piece in any offense. Dorsett seemed primed to have a nice role in the offense after a really strong training camp. 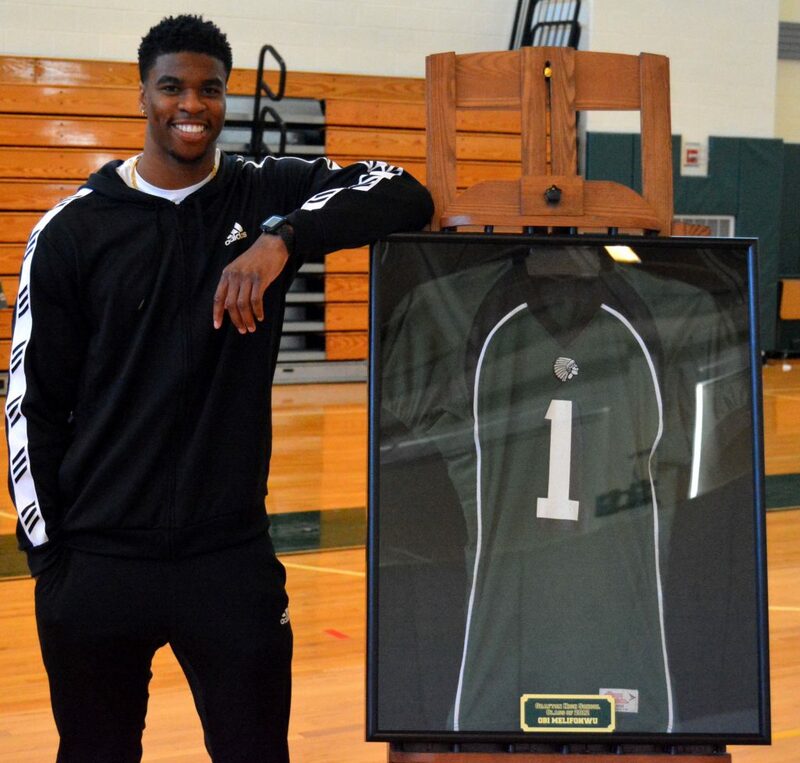 But when the team signed Josh Gordon, he saw his playing time slashed. However, when his number was called, he contributed some big plays, most notably the touchdown pass in KC during the conference championship game right before the half. He never lived up to his first-round draft pick expectations but can be a nice role player. Patterson remains one of the premier kick returners in the game and the opening kickoff in the Super Bowl showed how dynamic he can be, nearly breaking it for a TD. The Patriots installed a package on offense to take advantage of his blazing speed and he chipped in with three receiving touchdowns. He also jumped into the mix at running back when injuries piled up at mid-season and acquitted himself pretty well there. That concept of doing whatever the team needs you to do wasn’t lost on the coaching staff. The belief here is that Hogan is gone and Dorsett is slightly less than 50 percent to be returning, probably looking for a spot that will allow him more playing time. Patterson seemed to really like it here and if the Patriots offer him anything close to what he gets on the open market, then his chances of returning are better than 50 percent. The two big men in the middle both had the team decline fifth-year options for each in 2019 which says that they are prepared to move away from either or both unless the money is right. Brown had a good but unspectacular 2018 season and like his previous four years, had bouts of inconsistency. He was much better down the stretch and into the playoffs. But in truth, he never really lived up to his first-round draft expectations. The Patriots picked up Shelton from the Browns last spring and he too was plagued by consistency problems. He was a healthy scratch for three late-season games including the AFC Championship Game but was active and very good in Super Bowl LIII. The belief here is that the team could easily bring one of the two back on a team-friendly deal, but the chances that either return are under 50 percent. The Patriots love their special teams’ guys and in a year when the normally stellar STs units were struggling with their consistency early in the year, they brought these three into to the fold to steady the boat. Simon proved to be a valuable role player on the defense first and STs second. He did a very good job when called upon in setting the edge and getting after the passer as well as dropping into coverage. In the sub-packages the team runs, he provided a valuable role and fit in well. McClellan was an outstanding addition to the STs and blocked a couple of kicks, forced a key fumble. But in the punt coverage teams? Before McClellan’s arrival, the team was allowing nearly 13 yards per punt return. After he came on board, it was cut in half. That isn’t a coincidence. Humber is another STs maven and he’s terrific on kick coverage and recovered a blocked punt. The chances of these three returning are better than 50 percent, it would be nice to see the team re-sign all three this spring. This entry was posted in 2019 Patriots Offseason, 2019 Patriots offseason, NFL Commentary, NFL News, Patriots Commentary, Patriots News, Super Bowl LIII and tagged 2019 patriots free agents, Albert McClellan, Chris Hogan, Cordarrelle Patterson, Danny Shelton, Jason McCourty, John Simon, Malcom Brown, New England Patriots, Phillip Dorsett, Ramon Humber, Ryan Allen, Stephen Gostkowski, Trent Brown, Trey Flowers on February 14, 2019 by Steve Balestrieri. The Patriots looked much more like the team that we are accustomed to seeing on Sunday afternoon in Foxboro. They played their best complete game in quite some time with a dominant, offensive and defensive effort. While it is only one game and they have to start stringing some games like this together, this was exactly what the doctor ordered. Miami entered this week 3-0 and with a two-game lead in the division and with a chance to go up by three with a tie-breaker. They had been playing well and the Patriots had looked terrible for two weeks in a row. But the coaches put together an outstanding game plan and the players executed it in fantastic fashion. The team came out immediately, energized, with a tough physical presence and a sense of urgency that has been sorely lacking in a while. This one was over by halftime with the Pats up 24-0 and then they just put it on cruise control the rest of the way. It was a great game offensively for Sony Michel and James White, with Josh Gordon having an impact immediately. Defensively, Lawrence Guy and Kyle Van Noy were outstanding as the defense pitched a shutout for 57 minutes. Tom Brady got off to a bit of a slow start but got the passing game going and he ended up with 274 yards and three touchdowns. This was on a day where the running game was gashing the Dolphins defense. But his two picks hurt his overall grade, where each was preventable because of uncharacteristic mistakes. But he did get the wide receivers going, hitting a 55-yard touchdown pass to Cordarrelle Patterson for his first Patriots touchdown. A nice 9-yard dart to Phillip Dorsett for another score. And he lasered a third-down pass to newcomer Josh Gordon on a slant for a 13-yard gain to get him his first reception on the team. And his best pass of the day was a gorgeous rainbow pass to James White in the corner of the end zone where he was getting drilled as he released it. Just like they draw it up in the bucket drill during camp. But his two picks were preventable. On the first, he got fooled when Bobby McCain was running with Chris Hogan. Dorsett was to cut under the Hogan route, where it was supposed to generate some open space. But McCain passed off Hogan to a deep safety and sat down right on the spot that Dorsett was crossing. He made a very good head’s up play. On Brady’s second INT, he was just trying the force the ball into a very tight, well-covered window. Miami had two defenders located right there while under a heavy rush. He also threw a high pass on the goal line to Patterson which was knocked away and nearly picked. Normally, Brady delivers that ball low where it can’t be deflected and only catchable by his man. The Patriots running backs had a fantastic productive day. Sony Michel, who last week had to hear in some circles that he’s already a bust, had he first 100-yard day and NFL touchdown. He rushed 25 times for 112 yards and is beginning to show the trademark burst that he was known for in college. A cool stat courtesy of Tedy Bruschi, 65 yards of Michel’s 112 came after contact. He’s also seeing the field much better as he becomes more comfortable in the offense. James White had 112 total yards of offense, with 44 yards rushing including a nice 22-yard touchdown run and 68 yards receiving including the beautiful aforementioned rainbow from Brady for a score. He also ran a perfect rub route on Patterson’s 55-yard TD catch which freed up the receiver for an easy pitch and catch. James Develin was his usual solid self in the running game, delivering big blocks to get the backs to the second level. Kenjon Barner got some work in at garbage time and got some snaps in which may set the table for more work down the road. The wide receivers had a much more productive day. The arrival of Josh Gordon and his small sample size (18 plays), belied his influence on the field. While he had just two catches for 32 yards, both were on third down and Brady made it clear he was not just a decoy. He also drew a penalty that resulted in another first down and made a nice block downfield on White’s TD run. His arrival opened up some space for the other receivers. It was a good start. Phillip Dorsett and Chris Hogan are complimentary type receivers and not the #1 types that they been forced to assume early this season. Dorsett had four catches for 55 yards including the somersaulting TD grab. Hogan had one catch for 25 yards, and Patterson had the 55-yard touchdown catch as well as an 11-yard carry. 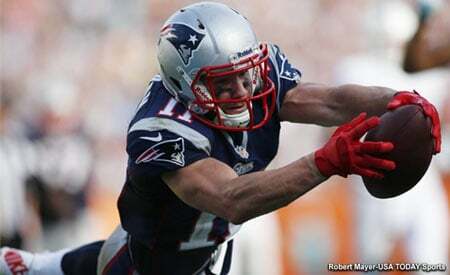 The overall group will get even better with the arrival of Julian Edelman who was back in the facility on Monday but is not yet part of the 53-man roster as the team will have to make a corresponding roster move. Rob Gronkowski has been bothered by an ankle injury which has limited him in practice the past 10 days. He aggravated the injury late in the game and with the blowout score was taken out. He’s considered day-to-day but with the short week, it would seem that he is doubtful to play this week. 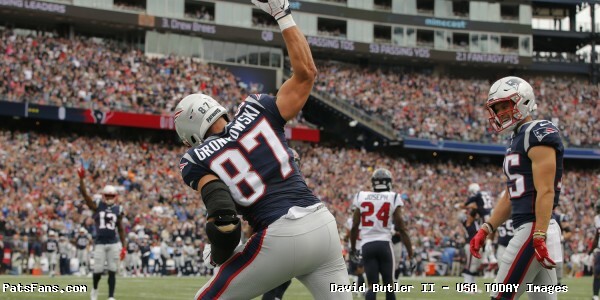 Gronk had a couple of good catches in traffic and ended up with 4 catches for 44 yards on the day. Dwayne Allen had a very good day in the run blocking department as he was clearing house for the backs. He was targeted on a deep route that was knocked away and caught a pass behind the line, that perhaps Brady should have thrown away where the Dolphins were all over him for a loss. The offensive line had a tremendous bounce-back day. After being manhandled for two straight weeks, a little home cooking was just what the doctor ordered. Dante Scarnecchia’s crew took it to the Dolphins front seven and the Patriots running game carved them up for 175 yards on the ground. Unlike the past few games where they couldn’t open up holes, they were getting a good push and did a very good job of protecting Tom Brady. Miami has a pair of outstanding edge rushers in Cameron Wake and Robert Quinn and both had quiet days which is a big win for New England. The defensive line simplified things a bit and rather than being reactive and pushed around, they were setting the tone of things and dominated up front. After getting gashed two weeks in a row, the run defense allowed the Dolphins only 56 yards rushing, most of which long after the outcome was settled. Miami averaged 3.1 yards per rush. Lawrence Guy had an outstanding game inside, Malcom Brown was much improved and the line was bolstered by the return of Trey Flowers who is always very solid. The Patriots did a great job of pushing the pocket and collapsing it around Ryan Tannehill. He frequently couldn’t step into his throws, which is why so many sailed high for him. The unit only had two sacks, one by Adam Butler and one by newcomer John Simon but they had good pressure all game long around the QB’s feet. This was a fantastic day for the Patriots linebackers despite them barely registering on the stat sheet. The linebackers were active, chipping the Dolphins receivers, tight ends, and backs and looked quite the antithesis to the slow, plodding group that we saw for two weeks. Kyle Van Noy was outstanding all game long mixing in run and pass coverage. He recovered a fumble when the Dolphins backup center snapped the ball over Tannehill’s head before he was ready. Elandon Roberts was playing his downhill, thumping game and was a thorn in the backfield before he was injured late in the game. Dont’a Hightower had a very active, physical game. One way to combat their lack of speed is to chip the backs and receivers off the line. On Sunday that was the game plan and they worked it to perfection. The Dolphins speed was negated and their backs and tight ends were not a factor. Dolphins running backs had just three catches for 29 yards, and two of those came in garbage time. The secondary played their best game of the season and arguably their best in quite some time. The game plan was to get physical with the Dolphins receivers at the line of scrimmage. This was conducted to throw off their timing as well as negating their team speed. The game plan worked to perfection as the Dolphins wide receivers were blanketed by the Patriots secondary all game long. Tannehill had nowhere to throw the ball. He entered the game completing 72 percent of his throws with a passer rating of 121.8 on the season. He finished just 11 of 20 for 100 yards with no touchdowns and an interception. The Dolphins wide receivers had 11 receptions for just 97 yards. Rookie J.C. Jackson had his first career interception. Pat Chung was back and in this Patriots defense, he is outstanding. He is extremely versatile and can play as an in-the-box safety, cover tight ends or even play in the slot. He’s an excellent tackler and a smart savvy player. Mike Gesicki the talented rookie tight end had just one catch for 9 yards. Cordarrelle Patterson didn’t get many opportunities to strut his stuff as the Dolphins only kicked off twice. But Cyrus Jones had a very nice 24-yard punt return at the beginning of the second quarter. The Dolphins return game didn’t do much despite having the dangerous Jakeem Grant and the always elusive Danny Amendola. Was that Danny Amendola starting to run to the Patriots sidelines after returning a punt in the first half? Ryan Allen only had to punt twice and Stephen Gostkowski had a chip shot (20-yard) FG and extra points to make. What a difference a week makes. 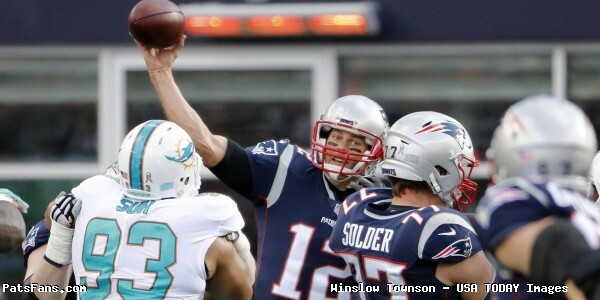 The Patriots had a great game plan to combat the Dolphins speed and worked it perfectly. It was a tad reminiscent of those old Patriots-Colts games of the early 2000s in the old stadium. They were physical with the Miami receivers and wouldn’t allow them any separation. Bill Belichick had the team ready to go on Sunday. They played with the urgency and energy that we’ve come to expect of Patriots teams. Josh McDaniels called a superb game, mixing in the run and pass perfectly. He was calling the right plays to get everyone involved. The offense for the first time this season looked like the offense that we expected to see. This overall was a very solid team win. Now they have to start stringing a few together. They have a short week with Indy coming into Foxboro on Thursday night. Then they will have 10 days to come up with a game plan to slow down the Chiefs offense. 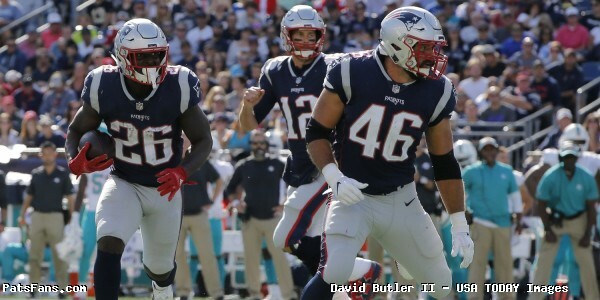 This entry was posted in 2018 Patriots Regular Season, NFL Commentary, NFL News, Patriots Commentary, Patriots Film Room, Patriots News and tagged 2018 NFL Season, 2018 Patriots season, Bill Belichick, Chris Hogan, Cordarrelle Patterson, Danny Amendola, Deatrich Wise, Dont'a Hightower, James White, John Simon, josh gordon, Julian Edelman, Kyle Van Noy, Miami Dolphins, New England Patriots, NFL, Patriots, Patriots edge rushers, Phillip Dorsett, Rob Gronkowski, Sony Michel, Tom Brady, Trey Flowers on October 2, 2018 by Steve Balestrieri. Patriots – Dolphins Week 4, Key Matchups, Who Has the Razor’s Edge? This week’s game will be broadcast by CBS and can be seen locally on WBZ-TV Channel 4. Kevin Harlan will handle play-by-play duties with Rich Gannon as the color analyst. Steve Tasker will work from the sidelines. The game will also be aired on the Patriots flagship radio station 98.5 The Sports Hub with Bob Socci and Scott Zolak on the call, produced by Marc Capello. The Patriots (1-2) lost to the Detroit Lions 26-10 on Sunday Night Football as they couldn’t get anything going offensively or defensively. Tom Brady threw for just 133 yards with one touchdown and one interception. The Dolphins (3-0) had a late big comeback to defeat the Oakland Raiders 28-20. Ryan Tannehill passed for 289 yards and 3 TDs while Albert Wilson also threw for a 52-yard score. The Patriots and the Dolphins are meeting for the 106th time in their history. Miami holds the overall edge 54-51 with each team holding big advantages at home. Against the Dolphins in Foxboro, Tom Brady is 14-1 with the only loss coming in 2005 when he was pulled in the first quarter of the regular season finale. The Patriots running game has taken two big hits in the injury department losing both Jeremy Hill and Rex Burkhead to IR. That leaves only Sony Michel, James White, and the recently signed Kenjon Barner. What was looked upon as a deep position just a few weeks ago is now thin. The Dolphins run defense has been much improved in 2018. They’ve done a great job of keeping opponents from running the ball effectively and the front seven has been very solid. Last week, they did a very solid job of bottling up the Raiders Marshawn Lynch which was particularly important when the Raiders were trying to run the clock in the second half. The Patriots run blocking has not been up to their usual standards and they’ve struggled to consistently run the ball. The team has made a concerted effort to get Michel going after he missed nearly a month of practice. Look for the Pats to just try to mix things up this week and keep Miami honest. But not a lot of room to run this week. The Patriots passing game has been mired in neutral the past two weeks. The wide receivers haven’t been getting open and teams are doubling down on Rob Gronkowski. Losing Burkhead really hurts in the passing game, which means that even more will be put on James White’s plate. Could we see some Josh Gordon this week? Miami’s pass defense has been generating a lot of turnovers thru three weeks and the pass rush with Cameron Wake and Robert Quinn is a daunting task this week. The secondary has been very good, the Dolphins have invested a lot of draft and free agent capital into improving it. Xavien Howard had two interceptions last week vs Oakland. Look for Josh McDaniels to switch up the conservative game planning and put the ball where it belongs this week, in Tom Brady’s hands. Yes, they’ve struggled to throw the ball but an offense that is run based and throwing on second and third and long isn’t conducive to winning. Look for much more James White this week. Jacob Hollister probably won’t play this week, (they could use him to take some heat off of Gronkowski) but with Gordon getting into the game, it should open things up for the other wide receivers. Chris Hogan and Phillip Dorsett are under the microscope this week. The Dolphins running game hasn’t been setting the world on fire (like Detroit) and their running back by committee has not been where they envisioned it yet so far this season. Kenyon Drake and Frank Gore present different challenges and are a good 1-2 punch once they work out the kinks. Last week the duo ran just 11 times for 15 yards against the Raiders. The Patriots run defense, especially to the opponent’s left side has been awful so far this season. This was supposed to be much improved this year but it hasn’t panned out that way. Things should be improved this week with the team getting Trey Flowers and Pat Chung back from concussion protocol. Flowers is the team’s best defensive lineman and Chung is a very effective tackler in the running game. Look for the Dolphins to attack the left side, as we’ve seen all three opponents do this season. If they consistently get in those second and three yards or fewer scenarios, then it will be another long afternoon for the Patriots defense. Maybe this week it would bode well for Brian Flores to eschew most of the two-gap responsibilities and allow the DL to attack a bit more looking for some penetration and disruption up front. We’ll see. The Miami passing offense boasts a number of very good pass receivers in Kenny Stills, Danny Amendola, Jakeem Grant, DeVante Parker and Albert Wilson who also threw a 52-yard touchdown on a trick play last week. Ryan Tannehill has been incredibly accurate (73% completion rate) while amassing a 121.8 passer rating. They also have Drake out of the backfield and rookie TE Mike Gesicki. The Patriots pass defense has suffered from a lack of pressure the past two weeks as both Matthew Stafford and Blake Bortles had all day to throw, frequently in very manageable situations. That has to change this week. Getting back three starters on defense (Flowers, Chung, Eric Rowe) would help. I’d look for Tannehill to target Amendola a lot in this one. He knows the Patriots defense as well as anyone, he practiced against them every day for several years. They’ll try to move the ball down the field while taking the occasional deep shot with Stills. The matchup with Amendola with Jonathan Jones will be one to watch. Stills will probably be matched up with Stephon Gilmore while Rowe will draw either Wilson or Grant which will the other big matchup to watch. The Patriots’ Special Teams have yet to find their groove in 2018. The coverage units haven’t been anywhere near where they need to be and the return game has largely been stuck. However, last week, Cordarrelle Patterson opened the game with a 42-yard kickoff return, which is exactly what the team is looking for. Cyrus Jones is back and will be returning punts now and the team could use a boost by him. Miami boasts the speedy and dangerous Grant in their return units. He had a 102-yard return for a touchdown against the Titans. However, the Dolphins have also given up a 94-yard touchdown return as well. Both teams have gotten solid play in the kicking game from punter Matt Haack and kicker Jason Sanders for Miami and Ryan Allen and Stephen Gostkowski for New England. This one is a much bigger game for both teams than a normal September divisional game. Miami leads the Patriots by two games, going up by three with a tiebreaker would put them far ahead in the divisional standings. Tom Brady has been nearly unbeatable at home against Miami and on the flip side, much like Miami has been Brady’s kryptonite, Foxboro has been that for Ryan Tannehill. Miami’s QB is 0-5 in Gillette Stadium and has thrown 5 TDs and 9 INTs in those games where the Dolphins have been outscored 163-61. While New England has been struggling, we’ve seen this before in the early season. Are we going to fall for the “banana in the tailpipe” again? This is the 2018 Patriots “We’re on to Cincinnati” game. We’ll learn something about each team after Sunday’s game. We’re looking for Brady to get it done enough on offense this week as they begin to get things figured out. One “X-Factor” for New England may be John Simon, the ex-Colts LB/DE is best suited as a 3-4 OLB than a 4-3 DE, so could we see some 3-4 looks or the other 5-2 fronts we’ve seen in the past to try to confuse Tannehill? Possibly. This entry was posted in 2018 Patriots Offseason, NFL Commentary, NFL News, Patriots Commentary, Patriots News and tagged 2018 NFL Season, 2018 Patriots season, Bill Belichick, Chris Hogan, Danny Amendola, Dont'a Hightower, Jakeem Grant, James White, John Simon, josh gordon, Kenny Stills, Miami Dolphins, New England Patriots, NFL, Patriots, Patriots edge rushers, Rob Gronkowski, Ryan Tannehill, Sony Michel, Stephon Gilmore, Tom Brady, Trey Flowers, Xavien Howard on September 27, 2018 by Steve Balestrieri.